Welcome to another excellent article written by Dragos (DeX). In this tutorial, Dragos walks us through the process of disassembling (and reassembling!) 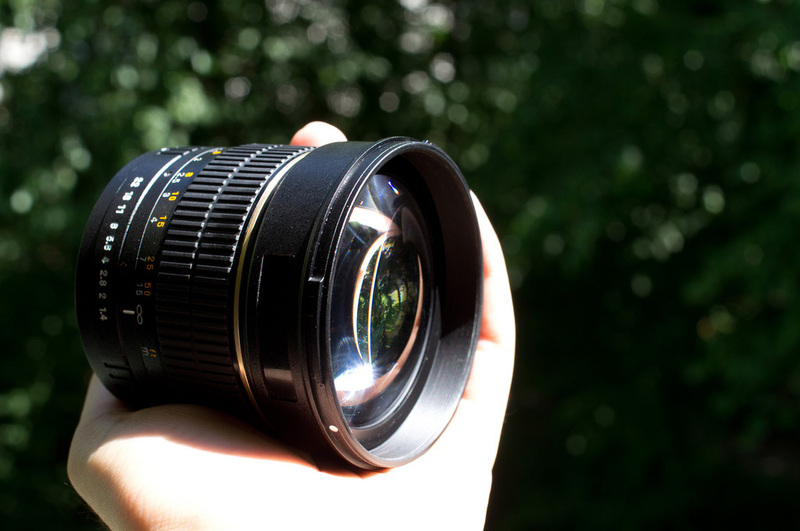 the Samyang 85/1.4 lens. Another valuable resource for us on Dyxum. Many thanks for this tutorial Dragos. 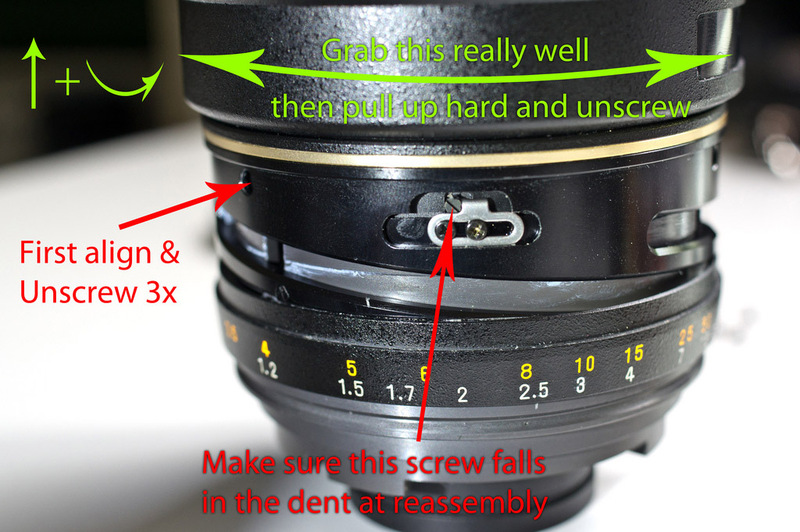 This should serve as a general guide for disassembling this lens. No actual repairs are made because nothing was broken, I just took the lens apart, cleaned it nicely then put it back together. The tutorial might not show everything from the best angles because the images were initially intended to help me with the reassembly but I thought I'd share. I had quite a few problems while doing this as it seems I am the first creature on the internet documenting this operation, so I hope this helps someone. I couldn't find any other resources except mount mods for AF confirmation chips. You may not need to go through all the steps to achieve what you want to do so read through the whole thing and select the info you need. - use only lens grease or heat resistant bike grease (I've used some magenta teflon based grease). If the grease is not heat resistant it will melt from focusing friction and make a big mess in your lens. 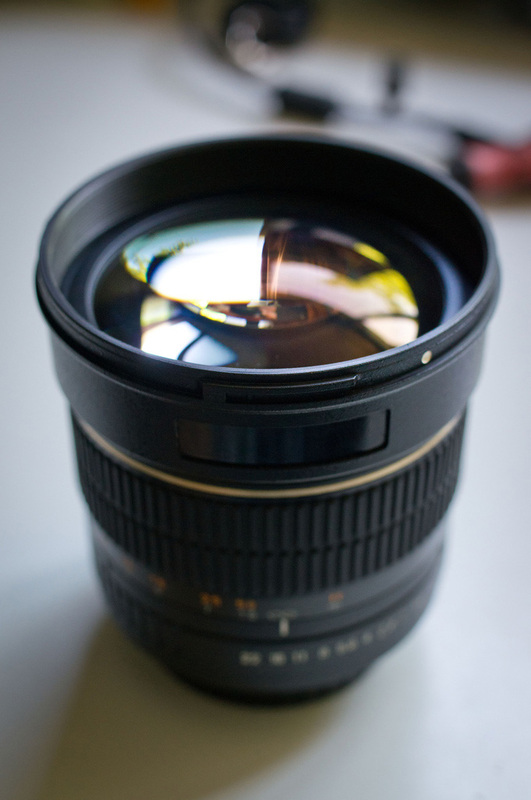 - the lens is composed of two groups of glass: The stationary one containing the first element, and the focusing group containing the aperture which moves in order to focus. - I'm not responsible if you mess up your lens but I'll try to help in case you do. So the first thing you need to do is take the rubber focus ring off. This is done by inserting a flat srewdriver underneath it and carefully lift and try to push down on the rubber ring so that it slides out on the mount end of the lens. (ignore the fact that the mount is missing). 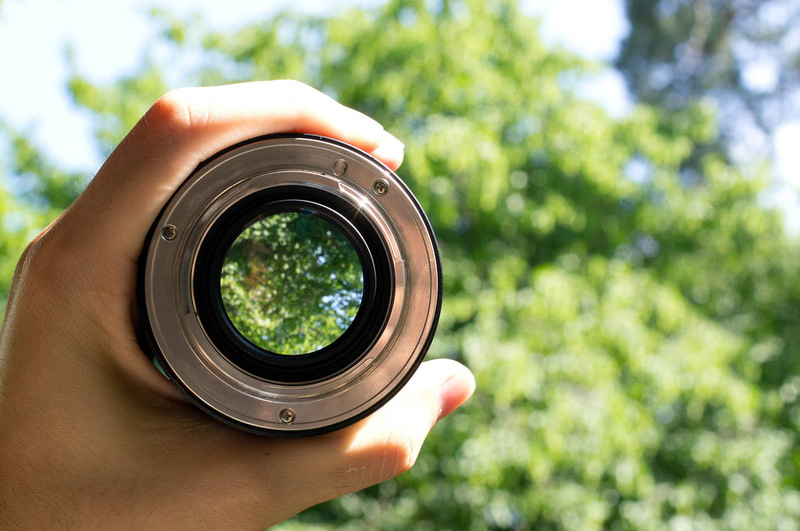 Now what this allows you to do is to set infinity focus. See those two black screws in the silver 0 shaped piece? Those are used to set the lens on infinity focus when it actually points infinity on the scale. 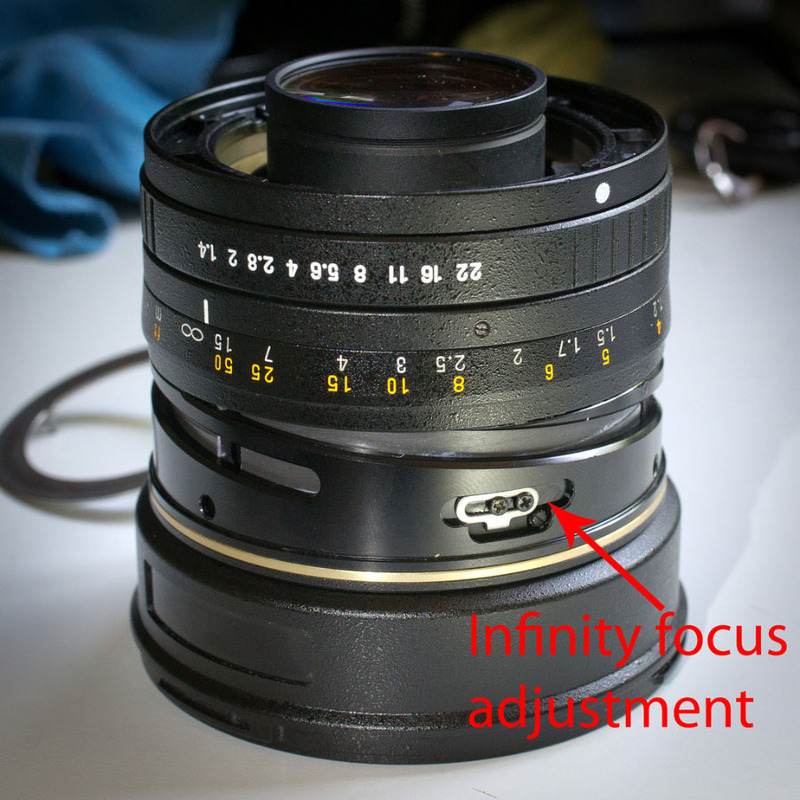 If you have infinity focus problems you just need to unscrew these screws, move the ring, rescrew and then check your focus. Repeat until successful. 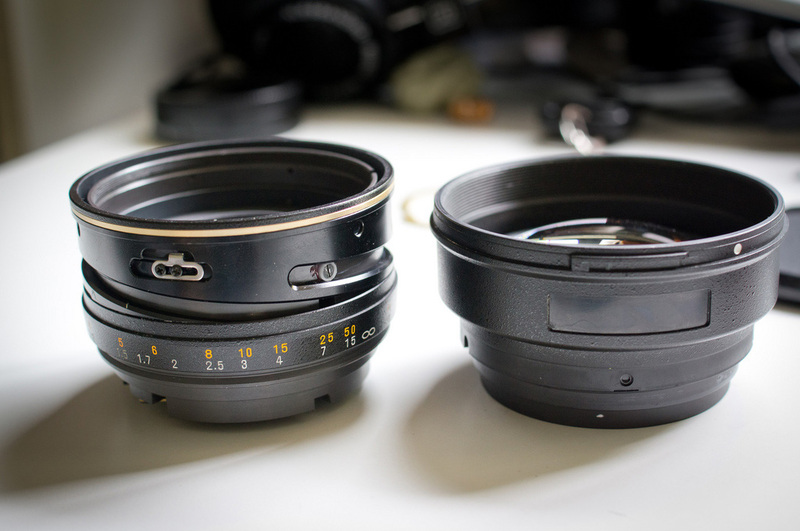 This may happen if you change the mount for a chipped m42 adapter. 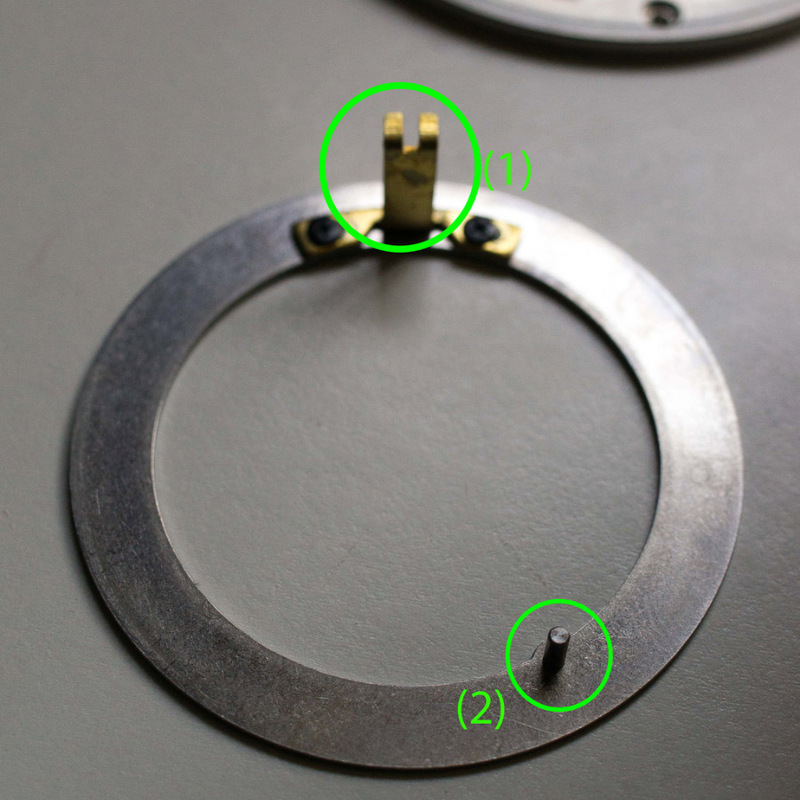 You should be left with just a plastic spacer over the rest of the aperture control parts, held in place by 4 screws. 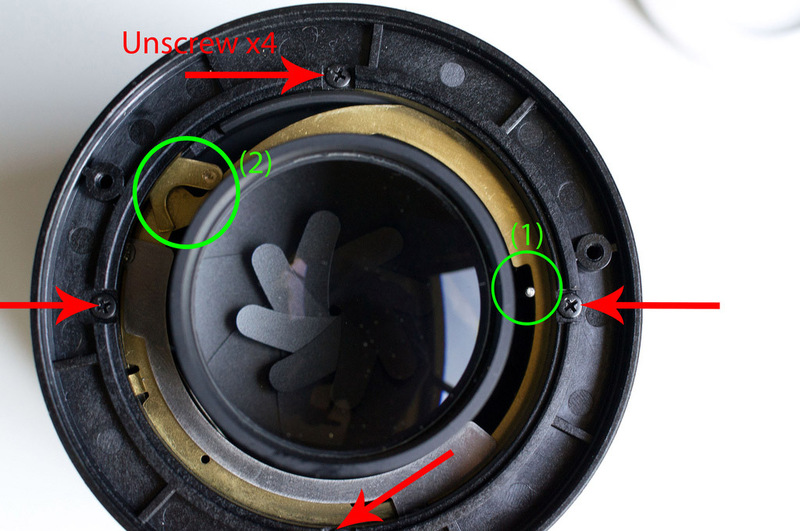 Now you should see the rest of the aperture control assembly, unscrew the 3 screws marked here and gently take out the metal parts and finally the black plastic aperture ring. Be very careful when removing the latter because there's a small metal ball that makes the aperture click and it is easily lost. I have not put my ball back in because I like having a smooth aperture for movies . 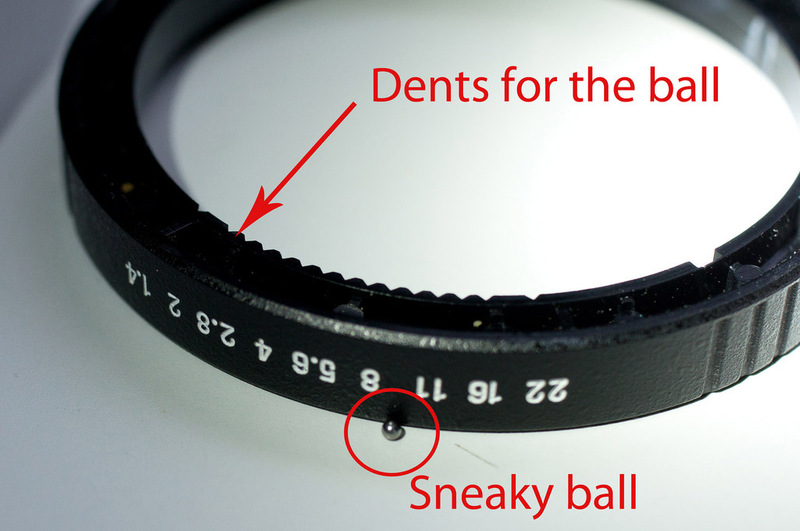 Aperture ring with indentations and the tiny ball that makes it click. I don't think you need to but I also removed the black metal ring with the focus mark on it. It is held in place by 3 small screws, in hindsight I do not recommend its removal as it does not really help with anything, except having to recalibrate the infinity mark. 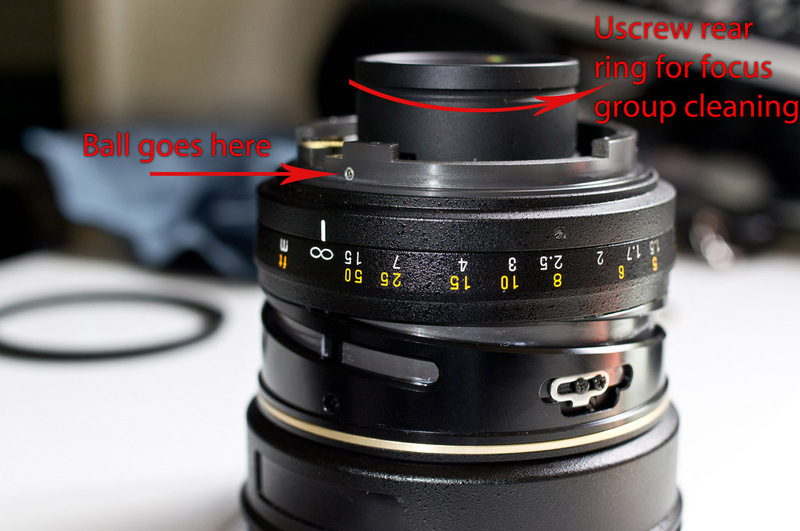 The focusing group can be disassembled by unscrewing the ring marked on the photo. You have to be careful though because many lenses will fall out, use a blower if you have dust inside then put everything back together. 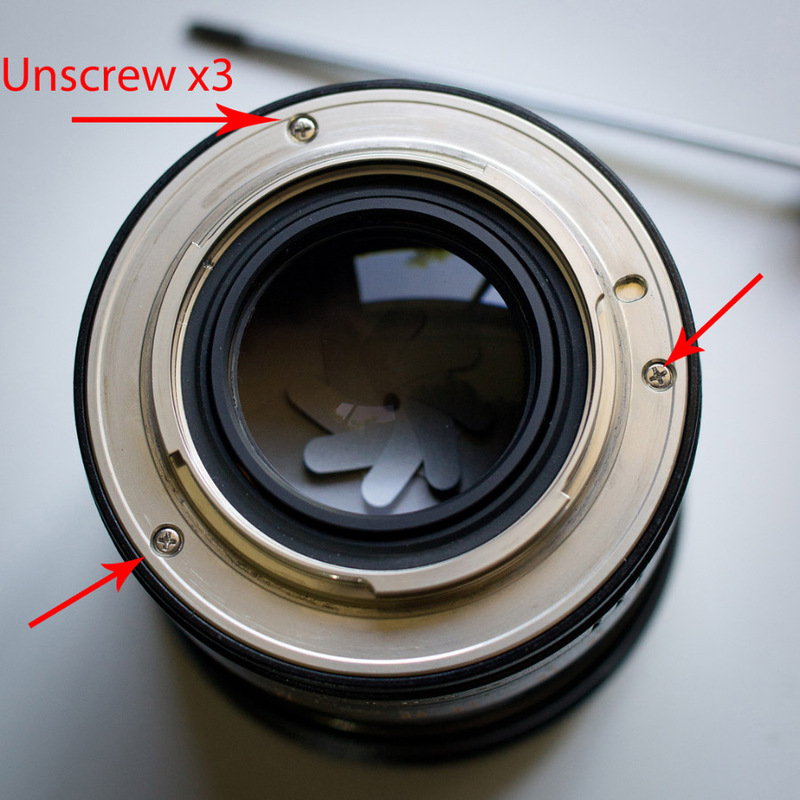 In order to get in the lens you need to align the focus ring with three screws marked here. Hold the plastic ring around the front element tight in your hand, then pull upwards until you feel it jam, then rotate it to unscrew the front element assembly from the rest of the body. For easy reassembly, screw the front element back in, push on the plastic ring then rotate it a bit to align the focus stop screw with the dent in the plastic ring. After the separation it should look like this. This is also where you should find and clean dust because the other elements are rather well sealed. Finally, if you had focus problems like I had (focus isn't smooth, making noises, etc) you need to unscrew the 3 teflon cylinder screws that move the focusing group marked here. 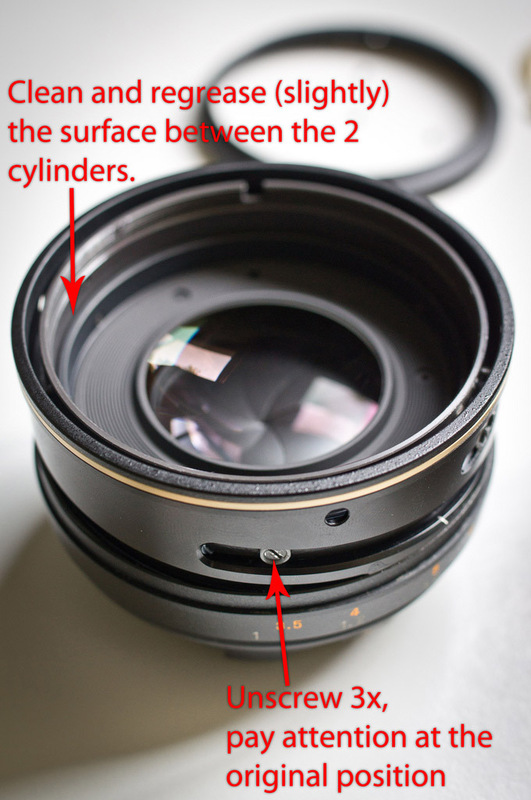 Do you think we could hack the aperture lever for automatic control from the camera? Very informative write-up Dragos|DeX. Thanks for the effort! Thank you, it might serve more in a few years when these things will start needing some maintenance. I know it's been a while since you posted this, but it's still helping people like me! I got some water into the lens during a rain storm (don't ask how wet I was!!) and your post allowed me to clean the inside lens surface without spending $$$ on a repair fee. I NEVER would have figured that 'pull, then turn' part out without a bunch of luck. Very useful. i think i have the same problems (focus non very smooth). 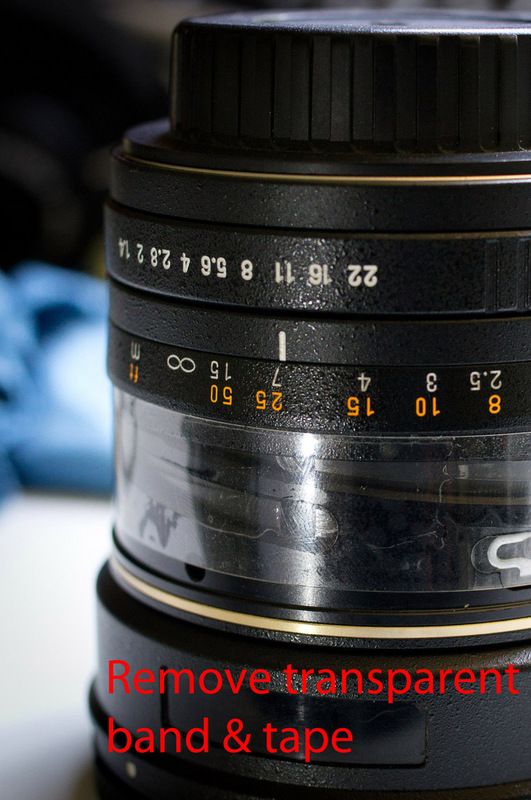 I cleaned a fungus spot inside the front element of my 85mm yesterday by following your guide. The front group can be screwed apart. I can thank you enough. A huge thank you for posting this. 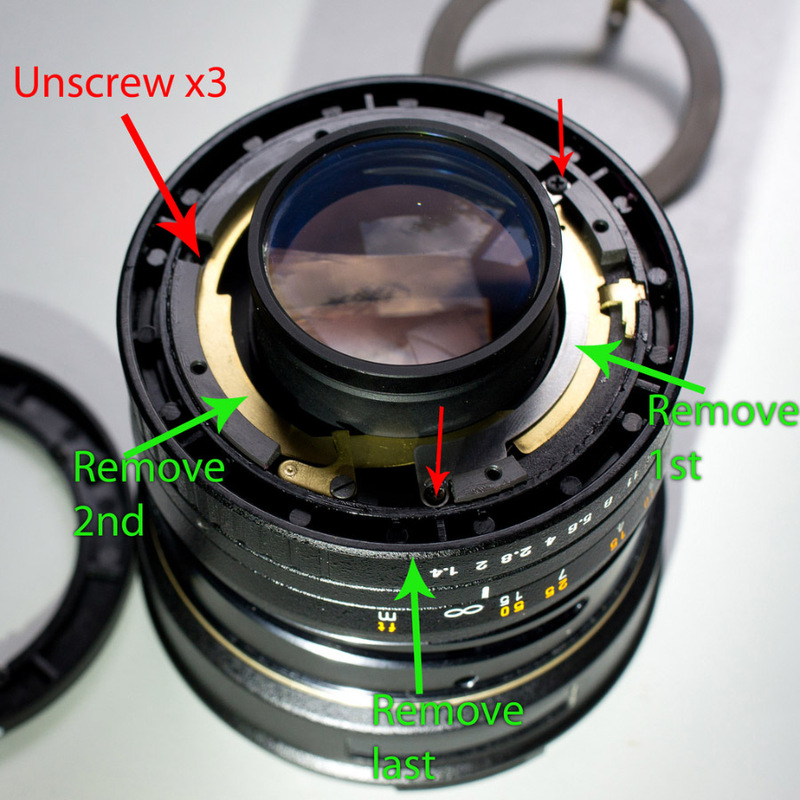 I had to take my new (ebay scumbag seller deal) lens apart to try and salvage it. Sold as new...showed up with a smashed filter on the end of it...no hood and a focus ring that would not turn...Using this guide...I fixed it.